We always endeavour to give an accurate, fair, and honest description when it comes to a used vehicle. This of course is mutually beneficial as neither party wishes to waste each others time. We are here for the long run, and as such we want you as our customer for more than just one transaction. We strive for positive feedback and a happy customer is our best sales person. Should you find our website or eBay description of a vehicle is not as described once you arrive, (Should your purchase be made prior to seeing it) we are so confident in our accuracy, that we will cancel the sale, and you are able to walk away should you wish to take that option. The winning bidder or buyer must pay a £200 deposit via Paypal, BACS, or in person within 24 hours of the end of the sale. If you would like to see the car before you make your deposit then you will have to do this within the 24 hour period. If this condition is not met your bid will be automatically cancelled. This we feel is more than fair and again shows our commitment to reassure our customers. After the deposit has been paid (Please remember that once viewed, if we have not been accurate with our description then you are entitled to a full refund), the full balance must be paid and the vehicle collected within 7 days of the end of the sale. Failure to pay and collect the vehicle within this period will result in a loss of the deposit and the car or bike being offered to the next highest bidder or relisted. If you require storage beyond 7 days then this can be arranged at £10 + Vat per day to a maximum of 28 days. If this option is required, it must be agreed in advance and at our discretion due to past delays we have experienced. At the time of collection the balance must be paid in full Paypal is only used as a deposit facility to a maximum of £200 due to excessive fees and delays in payment. January 1st 2017 onwards.… We no longer take card payments by Chip & Pin. This is due to charges now being levied upon all businesses from VISA of 0.3% even on debit cards transactions and the fact that as of 2018 we’ll no longer be allowed to pass this cost on. Sorry for the inconvenience, but as a small business we can’t afford to absorb these costs. The bid you submit, or the price you agree is final, there will be no opportunity to begin negotiation upon collection. We will not tolerate this approach, and the option to purchase maybe removed from you should this be the case. Please view the vehicle prior to purchase should you be concerned about this. Our description of this vehicle is a general idea and overview of its condition. It is not exhaustive list as it would be impossible to inspect every single moving part of a used vehicle. Opinions vary, especially when it comes to classic cars as we know when people describe “Concourse/Perfect” vehicles to us – that are clearly not! 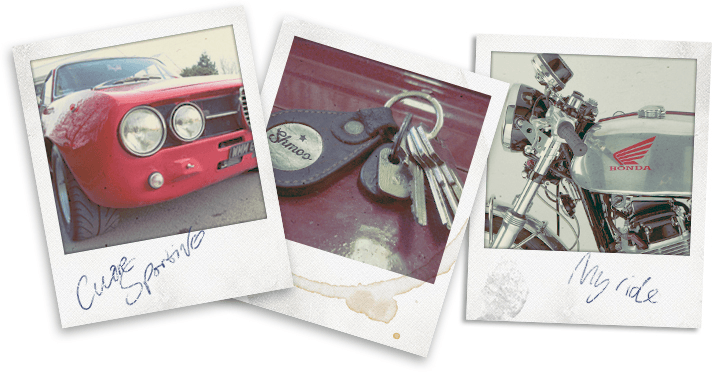 We will of course describe things in an enthusiastic manner as we are car and bike enthusiasts… just like you. However we will not view things through rose tinted spectacles just because we own it. Please allow an amount of scale when it comes to buying an older vehicle. Any obvious faults that may be apparent with the vehicle should be mentioned within the description, if there are none reported then there are no obvious faults at the time of the listing, but please take into consideration what you are buying and the price. For example: It is unlikely that a 40yr old Lotus Elan or a 15yr old TVR will be perfect unless stated as such, they had faults from new! Any obvious areas that would benefit from further improvement will be listed to ensure clarity and accuracy as best as possible, this is one of the things that separates us from the majority of car sellers and we are often praised because of this approach. Please remember when buying a classic car – 10yrs old and above, that this is a classic and as such, an OLD car. We like the quote, “A car generally has to go through the stage of being just ‘Old’ before it reaches ‘Classic status”. It is reasonable to assume that there will be faults and slight imperfections, the odd job that needs attending to as is normal for an older vehicle and part of the ownership experience. Most used vehicles of any age will have small marks and faults when offered for sale; an old car is only perfect if described as such by us. If an item or detail is not listed on the advert, please do not make presumptions regarding condition/specification, if in doubt get hold of us and ask, we would much rather go through a vehicle with you than have a query at a later date. We don’t bite, in fact we love talking to people, and the more questions the better in our view as we can start to build a relationship with you as a potential future client. If we have made an error in detail or specification for some reason, we again will not expect you to continue with a purchase. You can obviously test drive the car before leaving to confirm that it drives as we say it does. If it doesn’t…then you are free to walk away, again we want you to be 100% happy. Due to past experience, we are unable to offer the delivery of a classic vehicle to a buyer unless they have inspected the vehicle in person. eBay transactions do not carry a warranty. Depending on the age and condition a classic car warranty maybe available via an independent warranty supplier at an additional cost to you. Please contact us for any help we maybe able to give to you in this area. If the vehicle has been viewed and inspected to the point that you are happy to place a deposit upon the vehicle, and either a written, emailed or verbal agreement has been agreed, then the deposit is NON-REFUNDABLE as the vehicle will have been taken from sale and this costs us both time and money. This is a very rare occurrence, but we cannot refund any part of the agreed deposit. Images are for illustration only. The terms below govern your use of any shmoo automotive limited internet sites and by accessing this website you agree to be bound by them. If you do not accept these terms, please do not use the website. These terms and conditions only apply to shmoo automotive limited internet sites. These are not the full trading terms and conditions of shmoo automotive limited , please contact us for more information. Copyright shmoo automotive limited The logo and all text, images, graphics, sound files, animation files, and video files specifically representing shmoo automotive limited internet sites, are all subject to Copyright and other intellectual property protection. shmoo automotive limited sites may also contain material that is subject to the copyright rights of their providers; vehicle manufacturers for example. No person may copy, modify, transmit, distribute, display, reproduce, publish, license or create works from any material, on any part of this website, or otherwise use it for any public or commercial use without the prior express written permission of Mr EKJ Gibson of shmoo automotive limited .